Using find & replace on a string with a regex pattern @([A-Za-z0-9_]+) allows you to find a @mention in a sentence. :extract only allows the user to extract an email. If you added the ability to extract text from a string, with a regex pattern then it would be possible to trigger a workflow when a username is mentioned, (although mentions themselves wouldn’t be clickable). I also think that this would be a great addition and probably an easy one for the bubble team. 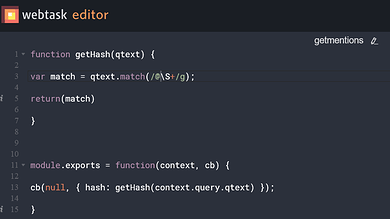 Could you add the ability to use the :extract feature to extract things from a string using regex? We could look into adding this. Which Regex would you use that with? 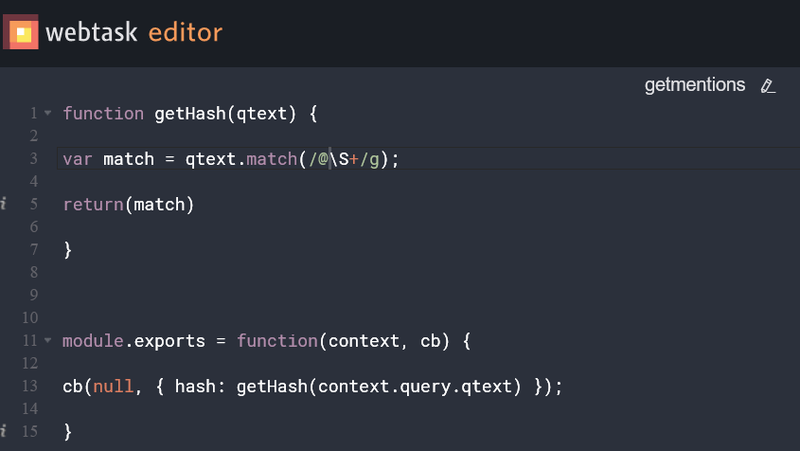 I’d like to get mentions from a text, using a regex like this /@\S+/ should return just that. I actually ended up using another solution found on the forum which uses webtask and the API connector to accomplish just that but for the future it’d be useful to simply :extract things from text using regex. And it would return a list of texts? Bubble Chatbot: Possible to extract data from text? Excellent. How can I use it? Same, any more info on how to make this work? I created everything that you mentioned in the picture above. I have a multiline input A and I have a repeating group text. I’m assuming this repeating group text is going to display the names of the user I mention in the multiline input A.
does this eventually work out as how bubble has in their forums, that everytime we type @, a list appears with selection capability. Im assuming the list that pop’s up in bubble is the repeatinggroup text you have up there. Do I have to put in image elements inside the repeating group? I would use the Tagger plugin, it works very well.